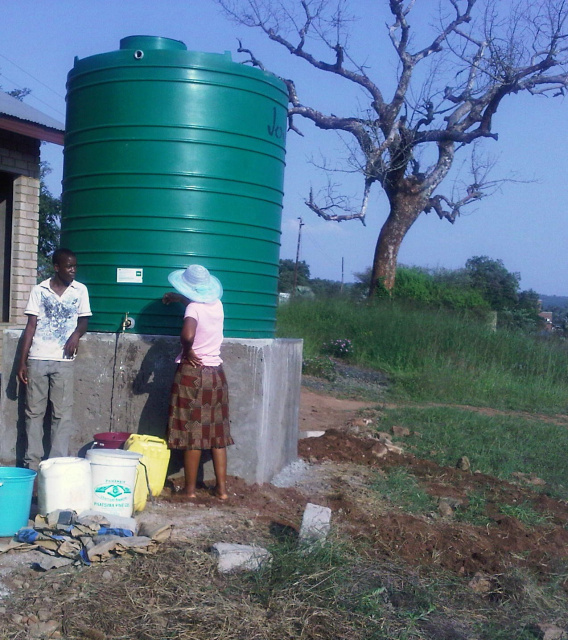 Makambe, Africa Water Well Completed!!! To God Be The Glory! This study, life giving well has been completed. This is a gift that will continue to provide safe drinking water to help children and families in this dusty dry area. As many as Five Thousand people will benefit from the new safe fresh water well that was recently completed in Makambe, Africa. This means children and families will be saved. Your gifts and prayers have made this possible. Please give so that we may build a safe fresh water well for the people in Dambali Africa. This is a tougher project than Makambe because it is not feasible to build a well in the village. Pipes will have to be laid to bring water into this very dry and dusty African village from a source miles away. The cost may exceed $10,000. However, every contribution is significant and if we pull together we can make this project happen. Click Here if you would like to give to the Safe Fresh Water Project in Dambali, Africa.